If you are a true fan of outdoor cooking, then you must have been caught up in an inevitable debate – which is better, gas or charcoal? When it comes to flavor, nothing can beat the smoky flavor charcoal grills produce. They are also more affordable. Charcoal grills take a while to set up and heat up and it is pretty hard to use them on cold days. In addition, some skill is required to use these grills. Gas grills, on the other hand, can get going with a push of a button. They are simple to use, quick to start, and easy to clean. But they lack the “authentic” barbecue flavor of cooking with charcoal. Now you can get the best of both worlds with a Hybrid grill, also known as a combo grill. There are very few things that make life more enjoyable than a good slice of perfectly smoked meat. Smoking is a traditional technique that has long been practiced to add flavor to meats and preserve it for longer periods. While the process seems fairly easy, beginner smokers are often confused about how smoking wood is categorized and which type goes best with a certain variety of meat or fish. With varying opinions from pit masters, choosing the best wood may seem challenging at the beginning but there is no need to fret. We have narrowed it all down and simplified the decision-making process so you can dive into making your own smoked dish by the end of this article. 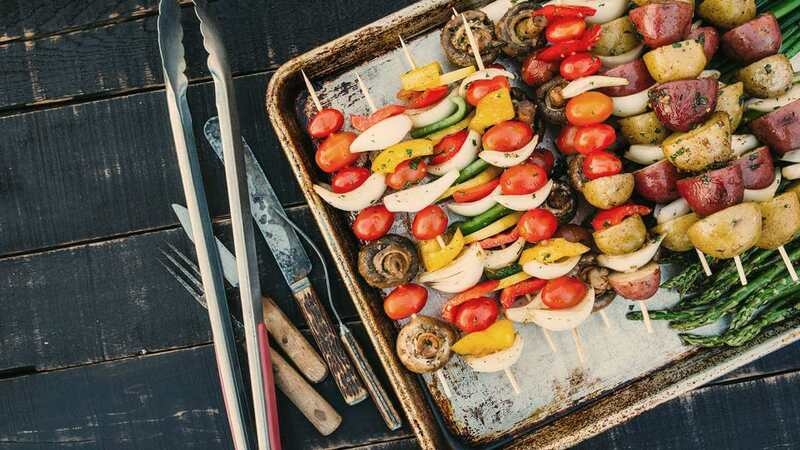 Whatever season there is, a perfect grill at home should be a part of your “must have list”. Especially if you opt to eat healthier yet tastier food, without cooking your meal in oil and pan, having your own pellet grill is a wise decision. If you plan to have parties at home with friends and families, the best grill in the backyard will make any gathering extra special. So let’s get to know which grill is best for you. When we speak of backyard grilling, one of the most trusted and recommended brands is Pit Boss. From ceramic to gas pellets, vertical smokers and smoking grills, Pit Boss got it all for you. There is one word used to describe people who think that they can get juicy meat using only a grill and that word is “amateurs.” In order to achieve that ultimate meat flavor, you’ll need to use a smoker. So, if you’re willing to get into smoking but don’t want to spend too much time sitting around and tending a fire, then a propane smoker is probably the right choice for you. Propane smokers are convenient, easy to use, and a great choice for beginners since they feature the “set it and forget it” option. Majority of propane smokers feature a simple design which makes them compact yet provides plenty of cooking space. Plus, they offer great value for the money. Propane smokers are a great choice since they let you cook food at a consistent temperature so you could achieve that tender, mouthwatering taste. In addition, all gas-powered smokers heat up much faster than the electric or charcoal ones. So, what is the best propane smoker you can buy? We’ve done all the hard work and came up with this list that will hopefully help you decide which propane smoker is the right one for your needs. Ready to fire up your smoker? Before you start cooking, make sure you know what the food safe temperature is for every type of meat. Our infographic is a quick cheat sheet you can save and reference while you’re smoking. Don’t overcook that beautiful brisket that you worked so hard on! The recipe for smoked salmon pastrami from ChefSteps is a tip of the hat to Pacific Northwest barbecuing, but is it any good? The answer is a resounding yes, according to our pitmasters. The recipe is easy to follow and simple to do, and will result in a deliciously smoky, savory fish with a slightly sweet bark. Maybe you just bought your first smoker and you’re looking for the perfect dish for that maiden voyage. Or maybe you’re a seasoned pitmaster looking for some inspiration. Either way, we’ve put together 101 of our favorite smoker recipes, from smoked brisket to smoked pork butts, we even have some great side dishes and smoked desserts that made our list! We’ll kick this off with a quick list of our 10 favorite cookbooks filled with smoker recipes. A lot of these authors, like Steve Raichlen or Aaron Franklin, have specific recipes included below. But their cookbooks are fantastic, we’ve learned a ton about smoking thumbing through these books, we highly recommend them! We love smoked tri-tip here at BBQonMain.com. It’s a great, cheap cut of meat that is delicious when done right. Vindulge has a great smoked tri-tip recipe that we love, and they include red wine pairings to go along with it! I’ve spent many years working for others in some of St. Louis’ finest and most interesting food service venues. I’ve even owned a few bbq joints of my own. When I’m not in front of the grill, I share some of my favorite tools, techniques, and recipes here. Have questions? Want to tell us about your favorite recipe? Interested in guest posting? You can contact us here! BBQ on Main is a participant in the Amazon Services LLC Associates Program, an affiliate advertising program designed to provide a means for sites to earn advertising fees by advertising and linking to Amazon.com. If you like our reviews and decide to purchase one of the items we have featured, we may be compensated.